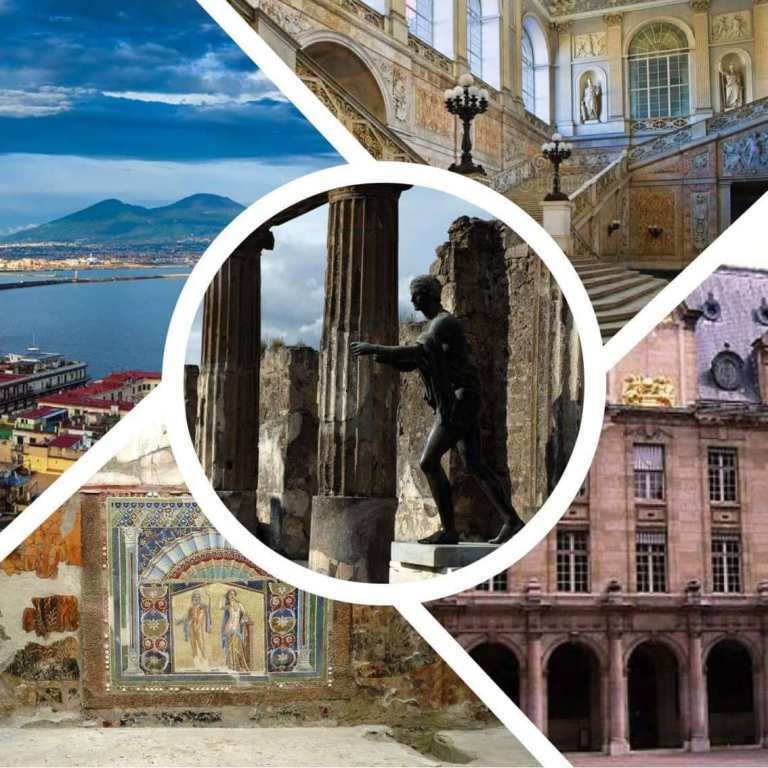 The 5th ESTIDIA conference, to be held on 19-21 September 2019, is organised together with the I-LanD Interuniversity Research Centre and hosted by the University of Naples ‘L’Orientale’, the oldest school of Sinology and Oriental Studies in Europe, with a strong tradition in language, cultural and social studies. The conference welcomes a wide variety of thematic and disciplinary approaches to hybrid dialogues in various communities of practice across time and space. The theme of the conference was prompted by the risks and challenges posed by the increasing use of virulent polemics both on- and off-line that are constantly shifting the boundaries between traditionally dichotomous forms of communication (e.g., public/private, face-to-face/virtual, formal/informal, polite/impolite) and types of mindsets (e.g., trust/distrust, liberal/illiberal, rational/emotional, biased/unbiased). The dangers of dichotomy (Vickers 1990) run parallel with a blurring of the distinction between real and unreal, true and false, genuine and fake, etc., in terms of both what people say and do, and what they say they do. This is increasingly manifest in behaviours that are far from the ideal way of acting and communicating, i.e. “I do what I say and I say what I do.” Instead, the behaviour of many actors in the public sphere indicates the opposite: “Do as I say, not as I do”, a distinct expression of double standards. At the same time, conflicting, and often contradictory, understandings of socio-political issues, cultural concepts and historical events are fostered by a proliferation of binary thinking, whereby one side of the divide is set up as positive/right, and the other as its negative/wrong counterpart (Dascal 2008; Munné 2013). Binary or dichotomous thinking is responsible for producing and/or maintaining historically unsustainable hierarchies and inequitable power relations. As a counterbalance of dichotomy-based beliefs and ways of thinking, new and hybrid forms of dialogue are needed to cross the frontiers of established dichotomies, questioning the legitimacy of increasingly conflictual, aggressive and divisive encounters (Sunstein 2007; Mason 2015) conducted both offline (in public meetings, TV debates, political and parliamentary debates, etc.) and online (on social media, such as Twitter, YouTube, Snapchat). In order to foster forms of open and democratic dialogue, it is essential to question the legitimacy of dichotomy-based ways of debate that occur on social media, and expose the surge of abusive language and trolling aimed at weakening trust in civil community and representative institutions. Polymedia (Alm/Lowe 2001; Madianou/Miller 2012) is an emerging environment of communicative opportunities that functions as an ‘integrated structure’, inextricably linked to the ways in which interpersonal relationships are enacted and experienced. Users switch between these to achieve their purposes: what cannot be achieved by email, can be accomplished by Skype, MUDs or instant messaging, or a phone call. Such flexible communication paradigms have the prerequisites of a hybrid dialogue since Polymedia can be extended to include non-digital forms of communication, such as resorting to face-to-face interaction. While cyberspace communication environments can trigger and stimulate creative and productive dialogues that can be integrated with face-to-face dialogues, we are still witnessing a growing proliferation of dichotomy-based misperceptions and misrepresentations of world phenomena and societal events (Beaufort 2018), which involve the mismanagement and manipulation of interpersonal relations and institutional power networks, leading to an environment of apprehension, suspicion and insecurity, strongly amplified and aggravated in recent times by anti-social discourse and behavior, extremist movements, and hate speech. Offline and online aggressiveness can have far-reaching consequences for social relationships and compliance with societal norms. Recent research has shown that social media users frequently post aggressive or insulting comments (Papacharissi 2004; Upadhyay 2010; Hutchens et al. 2015). Evidence indicates that cyberbullying is more pervasive and has longer lasting consequences than face-to-face bullying (Park et al. 2014). Further, there is a potential for online to offline carry-over of conflictual behaviour that fosters polarization and extremism. What types of polarized dialogue are to be found in various communities of practice (e.g. business, politics, education, health sector)? What are the distinguishing features of such dialogues in particular institutional settings? How do they emerge and develop? Has the increasing use of social media had a noticeable impact on the proliferation of the use of aggressive language and person-targeted attacks? Does this apply to some forms of social media more than to others? What cross-cultural parallels can be noticed with regard to dichotomy-based polarization patterns in off-line and online dialogues? Is it possible to identify differences in terms of age, gender, education, to name but a few? What dichotomy-based forms of reasoning and arguing are more likely to be found in spoken, written or hybrid types of discourses, respectively? How are the audience’s emotions targeted, as well as manipulated, by the use of fallacious dichotomies in online and offline dialogue? Are there strategies that are specific for particular subtypes/instances of these two kinds of dialogue? How do face-to-face and online dialogues compare as to the opportunities they offer various categories of interlocutors willing to have their voices heard and their interests taken into account in particular contexts? Are there characteristics of the interactants’ communicative styles across social media that confirm the assumption that online interactions are more prone to disagreement and conflict? How do they compare to offline interactions? What discursive and metadiscursive mechanisms can be found in populist rhetoric deployed in the private and public sphere, whereby speakers resort to audience manipulation through topic dissociations and issue polarizations? Is there empirical evidence that indicates a greater tendency of communicating with known others (through the phenomenon of echo chambers) in online or offline interactions? What is the role played by digital platforms in reproducing, reinforcing or challenging class and gender systemic inequalities within and across social/professional groups? How have radicalised, polarized, confrontational and downright violent discourses of extreme political movements given rise to institutional confrontations and the use of violence in both face-to-face and online interactions? To what extent do current media debates about crises of democratic legitimacy overlap, intersect, complement or contradict/compete with each other? Whose voices and visions are being articulated in different types of public discourse, and to what particular (converging and diverging) audiences are they targeted? To what extent is gender an impactful element in adversarial discursive behaviour? Are women and men equally inclined to initiate confrontational types of dialogue? How similar and/or how different are women and men when reacting/responding to aggressive language? What types of argumentation and contra-argumentation strategies are particularly prevalent in female and male professionals/leaders when engaging in adversarial debate? How can standards of social cohesion and structures of mutual solidarity be affected and/or changed in a world dominated by divisive discourse and binary thinking? How can new, hybrid dialogues help to address the polarization which reinforces the current social and political crises in a vicious circle of multiplying conceptual dichotomies, deceptive binary thinking and fearmongering slogans or ‘shockvertising’? Connect with us through social media. Follow us on Facebook to keep up-to-date with the latest news and highlights.